Bangladesh Premier League (BPL) 2019: With an explosive knock of 141 runs by Tamim Iqbal, Comilla Victorians beat Dhaka Dynamos by 17 runs and wins the Bangladesh Premier League (BPL) 2019 title. After this super entertaining match, cricket fans from around the world shared their joy through Tweets on the micro-blogging site. 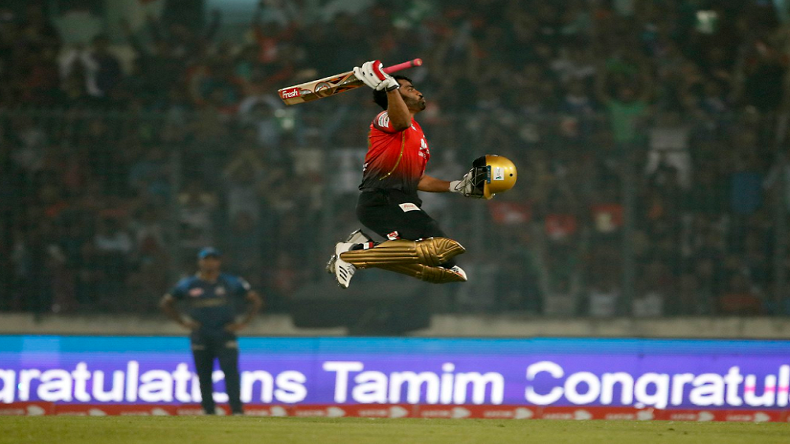 Bangladesh Premier League (BPL) 2019 was concluded with an extravaganza show as explosive batsman Tamim Iqbal played an impressive and match-winning knock of 141 runs off 61 balls. The left-handed batsman, who was leading the Comilla Victorians, scripted the victory in the finals with his blitzkrieg innings and propelled his side to lift the Bangladesh Premier League (BPL) 2019 trophy. The match between Comilla Victorians and Dhaka Dynamites was super excited and an entertainer as there were raining sixes all-around the stadium. Tamim Iqbal hit 11 sixes and 10 boundaries in his 141-run knock, which helped his side to post a respected total of 199 runs in limited 20 overs. On a tricky wicket of Mirpur, Tamim Iqbal target the big boys of Dhaka Dynamites Andre Russel, Shakib Al Hasan and Rubel Hossain and hit the ball out of the park several times on his will. Chasing the target of 200 runs, Dhaka Dynamites face an early blow as Windes all-rounder Sunil Narayan made his back to the dugouts without evening opening his account. Sunil Narayan was run out in the first over of the second innings. But experienced Sri Lankan all-rounder Upal Tharanga and youngster Rony Talukdar rescued their side and added 102 runs partnership for the second wicket. Upal Tharanga fell 2 runs short of a half-century and was dismissed by his Sri Lankan counterpart Thisara Perera. After the second wicket partnership, Dhaka Dynamos lost their wickets on regular intervals and their 5 batsmen went back to the pavilion within 40 runs. Rony Talukdar, who managed to impress a bit, scored 66 runs off 38 deliveries. In the bowling department, Pakistani pacer Wahab Riaz showed an outstanding performance by dismissing 3 batsmen for only 28 runs, while Mohammad Saifuddin and Perera scalped 2 wickets each. Hence, Dhaka Dynamos fell 17 runs short to chase the target and BPL 2019 trophy.